A critical part of petroleum storage tank gauging, plumb bobs are essential for operations requiring the manual measurement of liquid levels in storage tanks. 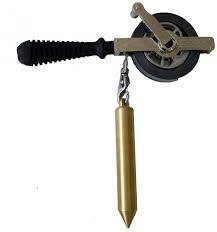 That said, some plumb bobs aren't appropriate for certain applications. By offering a diverse range of specially-designed plumb bobs from the industry's top manufacturers, Arm-Tex is able to provide appropriate solutions for its customers’ unique needs. 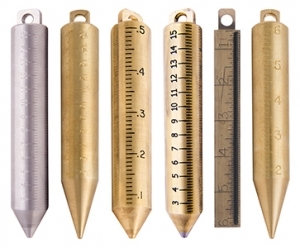 Whether you need plumb bobs comprised of stainless steel, brass or non-ferrous metals, thermo-bob, or graduated we have the right product for you. We also provide expert recommendations from a knowledge staff of professionals, who are always ready to answer your critical questions. For more than 30 years, Arm-Tex has provided the market's finest products for countless customers throughout the world. During this time, we've built lasting relationships with premier brands. This allows us to provide a rich diversity of products, so we can offer the right solution for even the most unique challenge. Contact our office to learn more about our wide selection of plumb bobs for gauging tapes. With a vast selection of high-performing products, we're ideally-equipped to meet and exceed your highest expectations for quality and service.